Description: Beauty is very often shown in daily life. And nothing is more beautiful than nature. 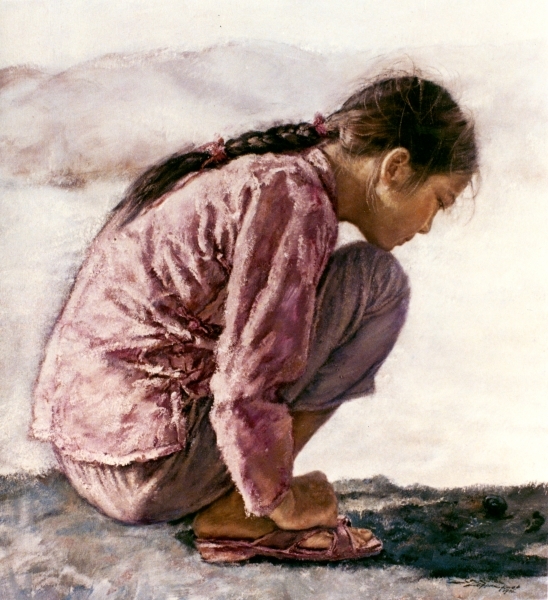 The girl kneels down and quietly watches a snail crawling across the ground. Although she's not facing us, her curiosity clearly shows as she is explores and studies the complex beauty that is life.